The QOS 8-Bay is a compact RAID system using 3.5” hard drives. Since its size is slightly smaller than a standard computer tower, it can fit into tighter spaces than most while the shock resistant drive enclosure protects the data from harm. It is 8GB Fibre Channel or 10GbE attached RAID that can be placed directly in a production suite, mobile cart, or ENG van. The QOS 8-Bay is a compact RAID system using 3.5” hard drives. Since its size is slightly smaller than a standard computer tower, it can fit into tighter spaces than most while the shock resistant drive enclosure protects the data from harm. It is 8GB Fibre Channel or 10GbE attached RAID that can be placed directly in a production suite, mobile cart, or ENG van. Whether it’s multi-cam editing projects, RAW formats, or HD Uncompressed image sequences, the QOS 8 Bay has the disk speed to support them all, performing with competitive throughput that roughly maxes out all eight hard disks in the RAID set. The 8-Bay makes use of the latest server technologies at highly competitive speeds with superior energy use and efficiency. As a hybrid device, The QOS 8-Bay is suited for both on location use and as a primary post. The QOS 8 Bay is suited for both on location use and as a primary post-production storage system, maximizing its usefulness from acquisition to delivery. 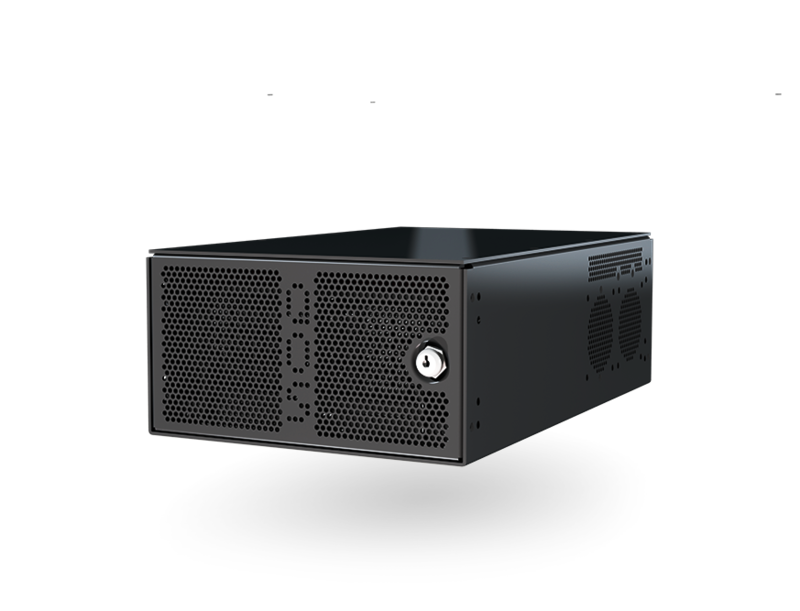 It is post-production quality RAID technology in a set friendly design, so data management will always run ahead of schedule. As a RAID system, the QOS 8 has many powerful features such as compatibility, IPMI support, single/double bit error detection, and soft/silent data corruption correction. The QOS can run multiple RAID levels such as RAID0, 5,6, 10 and to allow high availability and zero downtime for your time sensitive projects.